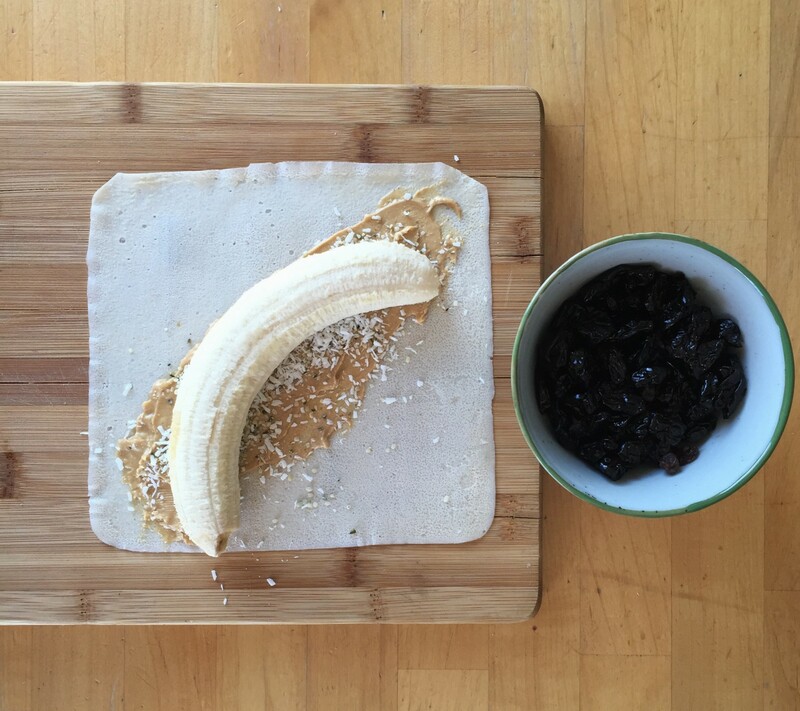 Home/Breakfast recipes, Dessert, Nutrition, Snack recipes, Tasty Tuesdays/Tasty Tuesday: Best Banana Wrap Ever! 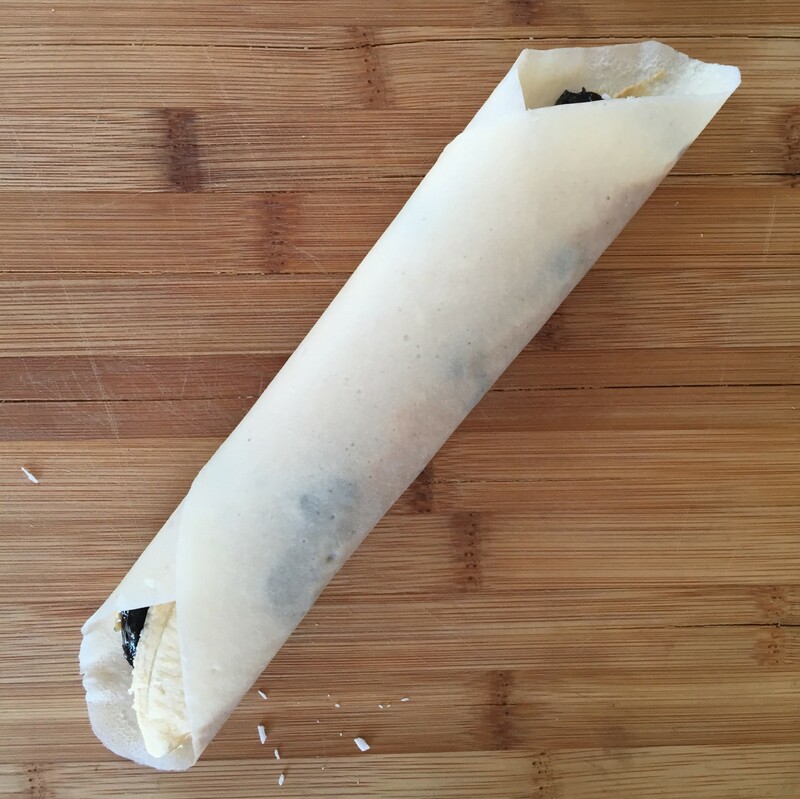 We ate this wrap all the time before my son was diagnosed with gluten and dairy sensitivity. And then we stopped. The gluten-free wraps we tried were too dry, did not taste good, and were breaking when folding; until we found the winner wrap! It is gluten-free and it has only three ingredients: coconut meat, coconut water, and coconut oil. It has the right degree of softness and foldability 🙂 . It is perfect! 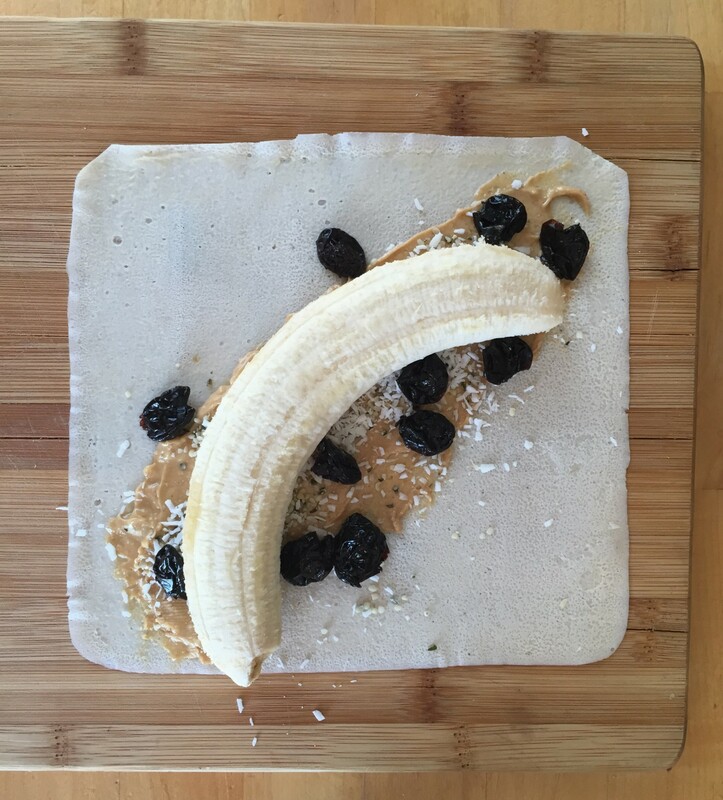 Even more, when all the ingredients are added to it, it makes the best banana wrap ever! OK, after all this talk about how awesome this wrap is, it is time to talk about its ingredients. This time I used cashew butter, but any nut butter works. Even more, you can use any seed butter (such as pumpkin seed butter for example) if your child can’t have nuts or their school is nut free. 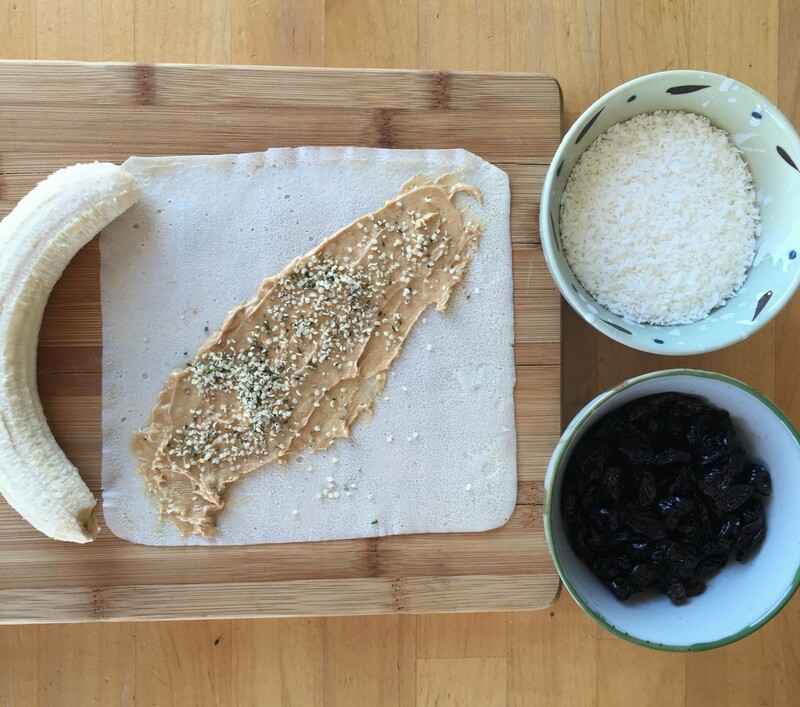 Hemp seeds and coconut flakes add healthy fats, and banana and dried cherries add not only nutrition, but also yumminess. Of course, use any dried fruit you have on hand. It will still be the best banana wrap ever 🙂 . Lay the wrap on a hard surface (plate or cutting board). 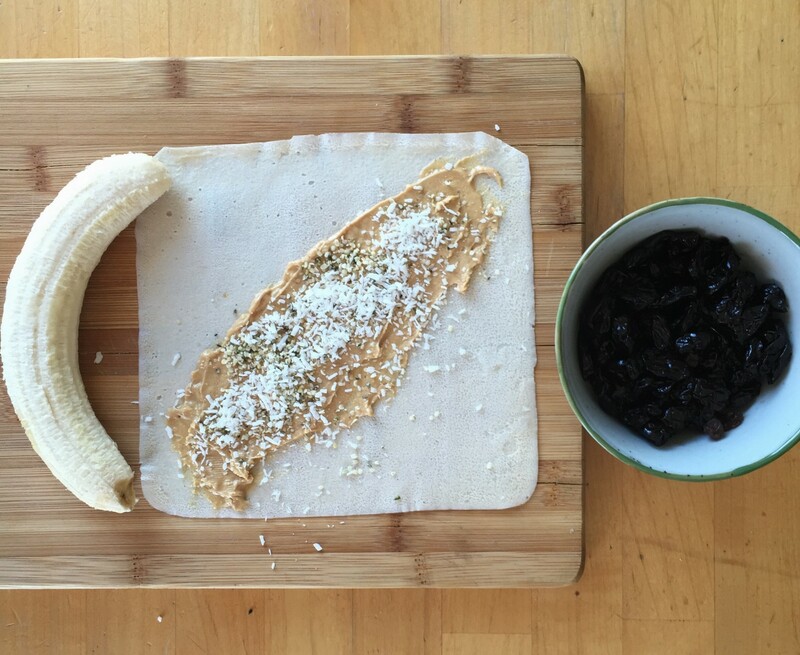 Spread cashew butter diagonally on the wrap. Sprinkle hemp seeds on the cashew butter. Sprinkle coconut flakes on the cashew butter. 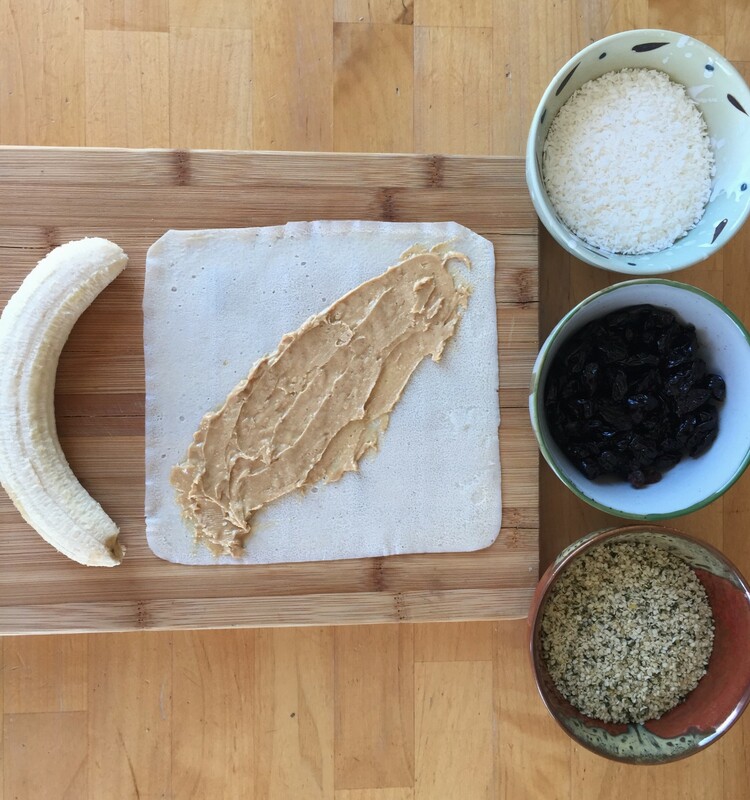 Place banana on the cashew butter. Top everything with dried cherries. Roll the wrap. The banana might break a little in the middle when you roll. No problem! 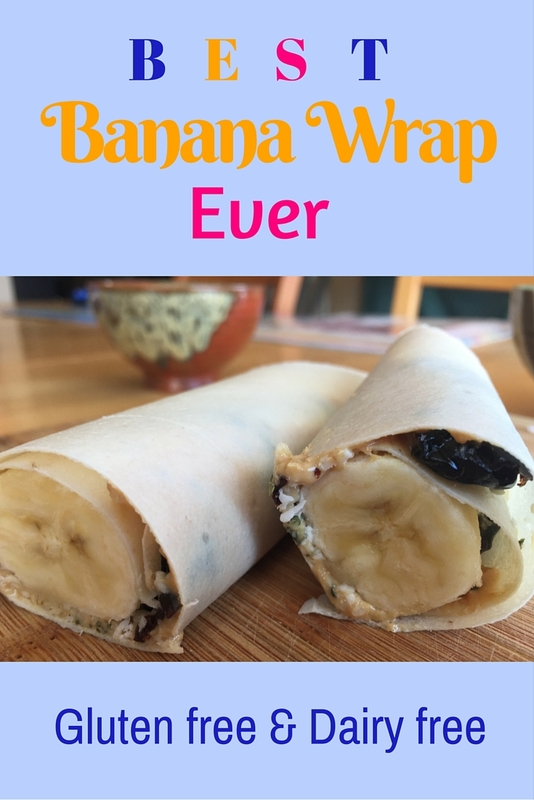 Enjoy, as this is indeed the best banana wrap ever!!! Where do you buy the coconut wraps? The first time I bought them was from my local health food store Amaranth. The store stopped carrying them for a while, so I ordered the wraps online from Julian Bakery Canada. Similar wraps can also be found online on amazon.com and they are less expensive. They are called Coconut Wraps (http://amzn.to/2k1BlO4 – affiliate link).